… niezawodny specjalista od rur z tworzyw sztucznych dla płaszczyznowych systemów wyrównywania temperatur. Firmy oferujące pełne systemy profitują podwójnie z partnerstwa z firmą Hewing: poprzez produkty najwyższej jakości oraz specjalnie przystosowaną do ich potrzeb paletę usług. Zarówno nasz know-how oraz niepowtarzalne, obszerne możliwości produkcji indywidulnych wyrobów stanowią nasz dodatkowy atut. Dzięki stałej obserwacji rynku oraz komunikacji otwartym dialogiem Hewing zna potrzeby rynku. Pozatym eksperci firmy Hewing np. z zakresu norm i aprobat działają w wielu krajowych i międzynarodowych gremiach, komisjach i zrzeszeniach. Poprzez ten know-how wywodzą się impulsy, które pozwalają nam na wdrażanie innowacji opartych o zapotrzebowania rynku. Ta wiedza umożliwia nam optymalną realizację projektów naszych klientów. Duży nacisk kładziemy także i na szkolenia w pomieszczeniach firmy Hewing zagospodarowanych wyłącznie w celach szkoleniowych. Innovation processes always start with customer requests at Hewing GmbH. 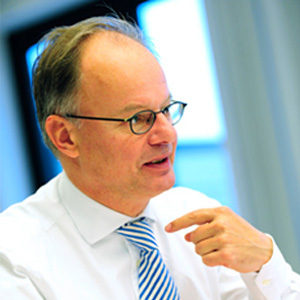 The pipe expert in Ochtrup supplies enterprises of the sanitary- and heating business. 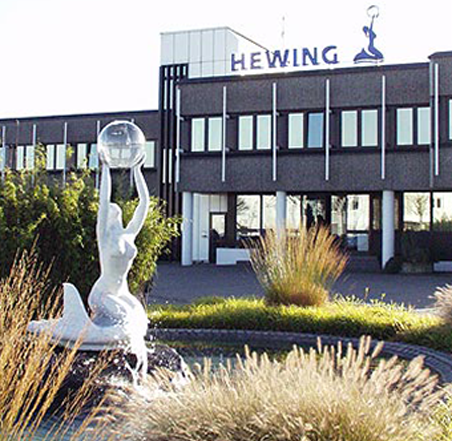 The important partners for developing new products are the sales managers of Hewing GmbH. They transfer all customers’ requests immediately forward to the Muensterland head office. In cooperation with the technical development and the marketing department the precise custom-tailored plastic pipes will be created. One sales manager is in particular responsible for industrial inquiries. He is the one who is elaborating the detailed pipe structures together with the customer, e.g. special heating pipes with extraordinary heat resistance. First the sales manager has to agree upon the product with the marketing and development department and then he is free to continue his work up to the sample production. “In general all employees at Hewing GmbH are free to work independently in their operating field,” Michael Vens, head of product management explains. During the entire process the project team is responsible for the success of the project that consists of staff of the product management, development department, sales manager and production. 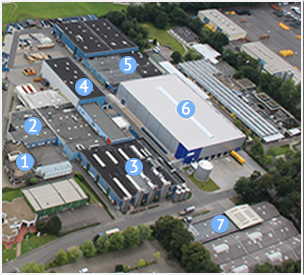 The marketing department – the so called “product management” at Hewing GmbH” is involved from the start. After the successful finish of testing period of the sample pipes the next step follows. The marketing department collects all relevant information about the new product and develops promotion material for the range of customers. The product flyer and the technical data sheets provide detailed information about the product performance. And here the innovation circle of Hewing GmbH product will come to a close. Now it is the task of the sales manager to inform the customer about the innovation and to clarify all questions in a personal conversation. Puzzling permitted! 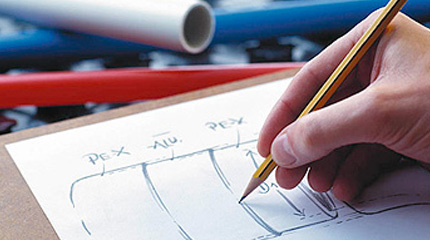 When a sample pipes has been produced the next step is following in the well organized innovation process. As a well-tuned innovation project team, the sales manager, the head of the development department and Michael Vens, head of product management are mutually checking possible synergies with other customers. As well the other sales managers are asked. But exclusive products for only one particular customer are not rare. Of course larger investments have to be discussed with the business management. Individually designed and manufactured plastic pipe technology ensures high customer satisfaction – simply “Designed for you”. Customers can distinguish their system technology using Hewing products. Benefit from Hewing’s consistent orientation to meet your requirements: added value that pays off! Always state-of-the-art with consistently process-oriented procedures and continuous quality monitoring: that’s the production at Hewing.